ATVs are a significant investment for anyone; therefore, it becomes necessary for the owner to take care of their valuable possession to extend its life as long as possible. By spending a little time on your ATV in the garage can save your hours of annoyances while riding it! 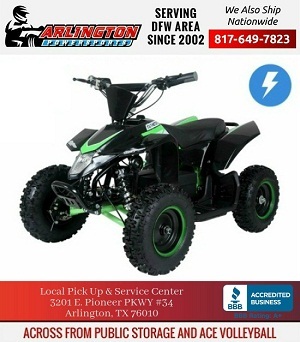 And being a leading dealer of ATV in Dallas TX for years at Arlington Powersports we can tell you that it is not that difficult to maintain an ATV as manufacturers are using better components and material to make the operation of the machine easier. Below we are providing you with some of the ATV care and maintenance tips that might be a great help to you! First of all, you must give your machine some time to get used to operating and running as well as let the oil and the other fluids flow properly within it and do what they are supposed to do! By following these break-in procedures, you can make your ATV running smoothly for years. Secondly, have a check on the oil regularly! If required, then change the oil. Make sure you follow the owner’s manual to know the suggested oil type and weight as the smaller ATV engines are highly sensitive to different oil weights. Also by checking the oil regularly, you can easily get rid of all the dirt and gunk accumulated on your ATV’s engine after running on the trail. Also, do not forget to follow the recommended change schedule on the owner’s manual to keep your machine run smooth and strong. Thirdly, make routine wash a mandatory. Yes ATV is meant for riding and ruling the mud but make sure you wash off the mud once you are done with all that excitement and fun! Mud and dirt can trap moisture against the metallic part of your vehicle which when not cleared off immediately can cause rust, and gradually your machine will get damaged. Also, mud and dirt can affect the performance of your machine’s engine by entering into the air filter or clogging up the vents and other machine parts. Remember while washing; cover up those parts of your machine that are sensitive to wetness. Fourthly, you need to keep the air filter clean. 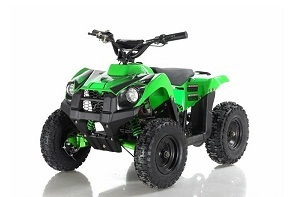 The entire mechanism of your ATV relies on three things, i.e., gas, air, and spark. Gas from the tank goes to the fuel system through a carburetor or via an electronic fuel injection system where it mixes with the air, and this air-fuel mixture travels to the cylinder. Moreover, at the cylinder, a spark ignites the compressed mixture and results in an explosion that depresses the piston and turns the crank and lets you ride down the trail. And to make all of this happen excellent and clean air is highly required! And hence it is necessary to keep the air filter dry and clean. Therefore, every time you go for dusty rides make sure to check the air filter! Besides these top maintenance tips, various other aspects need to be taken care of for better care and maintenance of your machine such as keeping a check on the CV belt, making sure that gas is in good shape, monitoring the bolts, nuts, and boots and maintaining the right tire pressure. 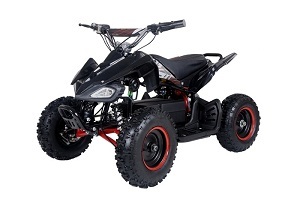 We at Arlington Powersports specialize in providing high-quality ATV for sale in Grand Prairie TX that is backed by the full support of the manufacturer. With our extensive customer service, we assure you that every time you buy our ATV in Dallas, TX your satisfaction will be our priority. 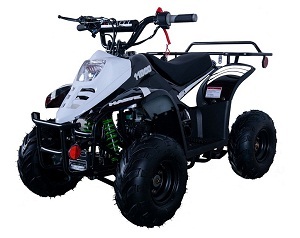 We also stock a wide range of cheap ATV for sale in Grand Prairie, TX along with replacement parts at the lowest possible price.